At Canopy Airport Parking®, we understand how important environmental issues are in our home state of Colorado. Colorado is famous for its outdoor recreation, amazing natural resources, and easy access to beautiful parks and reserves. 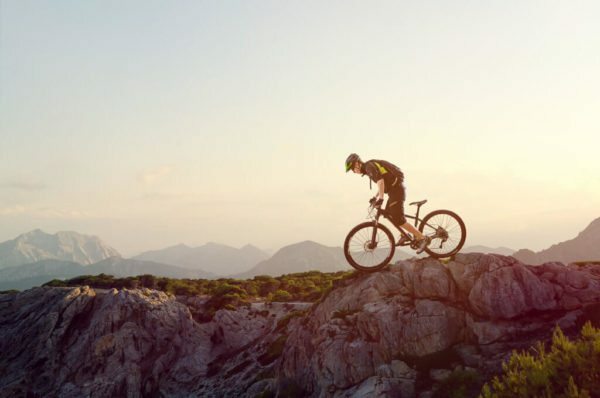 The state of Colorado consistently ranks as one of the most bike and hiker friendly states in the nation with a record number of Coloradans taking advantage of our great outdoors every year. We are proud to be part of protecting these invaluable assets for years by operating an environmentally friendly business. Canopy’s™ obsessive focus on energy efficiency and commitment to integrate all the greatest new green technologies, is nothing new to Colorado and we are happy to be part of the movement. One of the ways that we work to make our business green is by complying with the U.S. Green Building Council’s guidelines for environmentally friendly buildings. By receiving LEED certification, we guarantee that our facility conserves energy, water and other resources while generating less waste and supporting human health. Canopy was a quick adopter of LEED certification and has been recognized by the US Green Building Council for its strides in sustainable building design every single year since 2010. In 2016, Colorado was ranked with the second highest number of LEED certified square feet per capita. At Canopy, we are delighted to have been a part of achieving this goal and we look forward to continuing growth in this area. Colorado is home to many environmental initiatives that are closely aligned with our priorities at Canopy Airport Parking®. For instance, Denver International Airport (DEN) completed its two megawatt solar power system in 2008, a 1.6 megawatt array in 2010 and a 4.4 megawatt solar power system in 2011. More recently, two contenders for governor of Colorado have made pledges to achieve 100% green energy by 2040, a focal point of their campaigns. At Canopy™, we also emphasize the importance of renewable energy. That is why we run our facility with a combination of solar wind and geothermal technologies. Colorado is also setting ambitious goals for its recycling program. According to the Department of Public Health and Environment, Colorado is aiming to have 50% of waste diverted from landfills to recycling projects. At Canopy, we made recycling the foundation of business, by building a facility that utilized recycled materials. Our pavement is made from old shingles and all of our steel comes from recycled cars. We want to be a part of Colorado’s commitment to its environment by leading the way for green parking and sustainable business. The people of Colorado understand the importance of protecting our beautiful state. Whether it is our gorgeous fourteeners, majestic rivers, or even our clean urban areas, Colorado has an environment that is worth protecting. At Canopy Airport Parking®, we recognize how precious Colorado’s resources are and we work tirelessly to ensure our business is doing its part in defending our state for years to come. Canopy’s™ facility was designed with the earth in mind and we invite you to park and see how elegant efficient green can be.